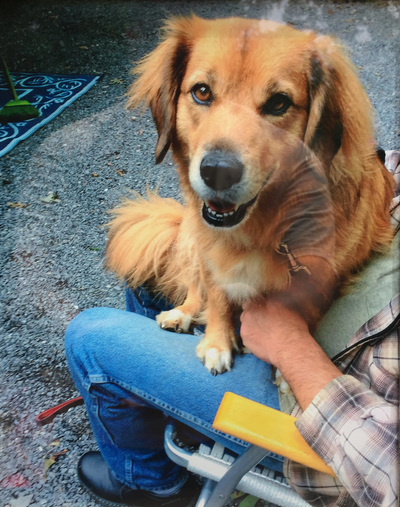 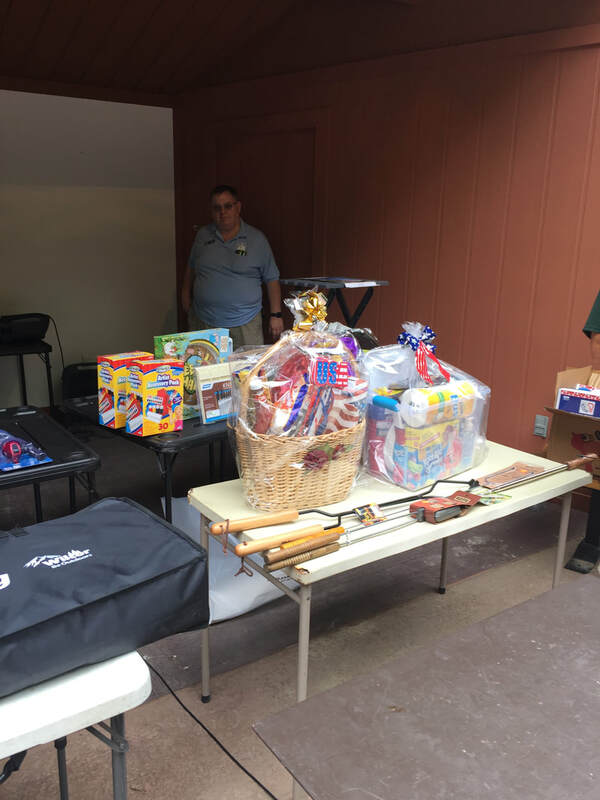 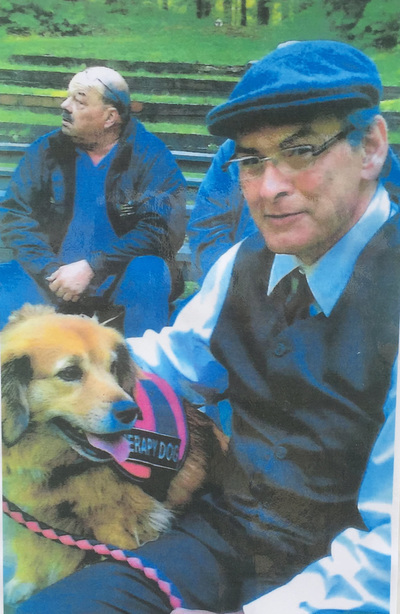 Click on the pictures below for a larger image. 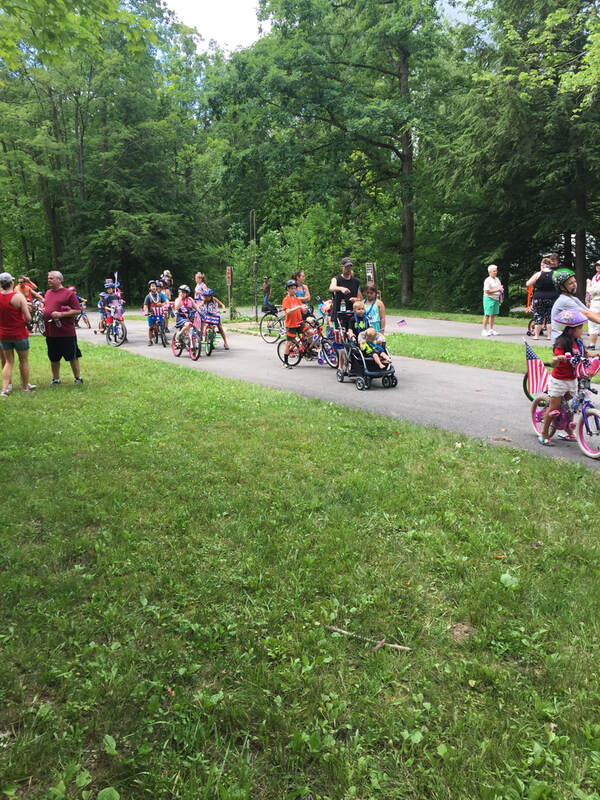 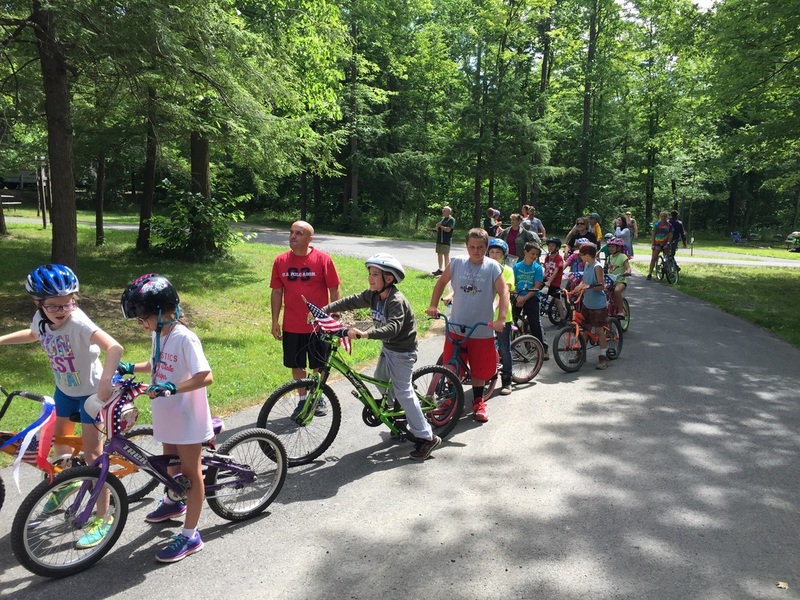 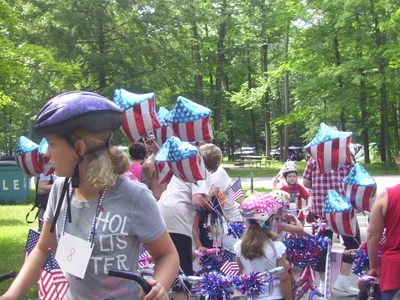 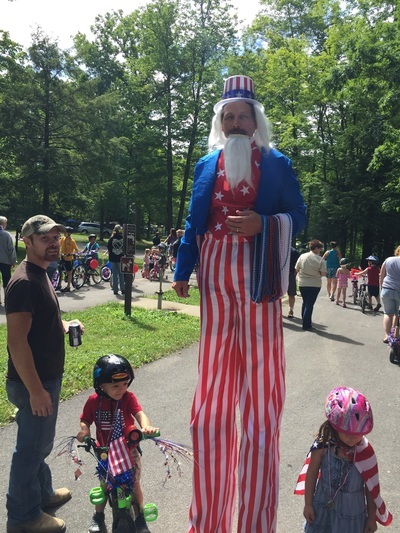 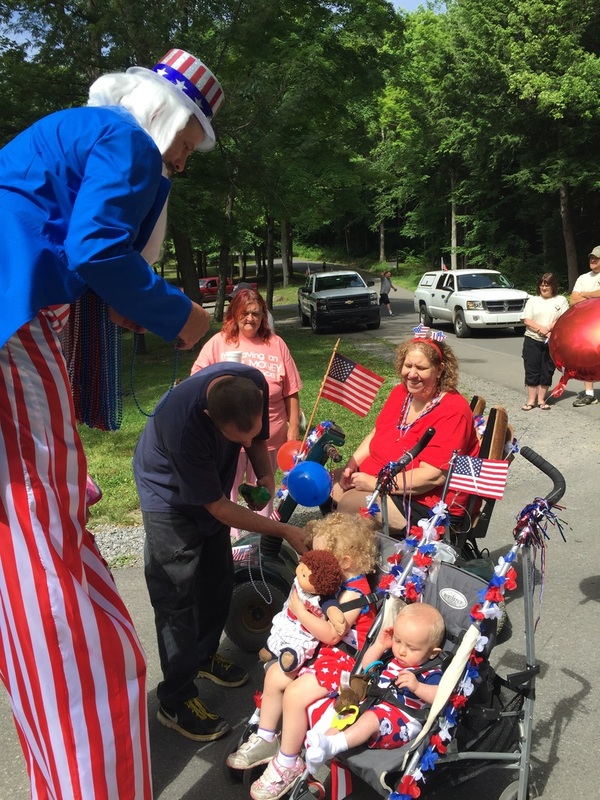 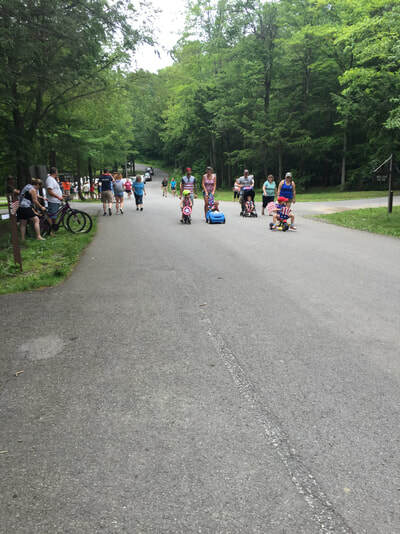 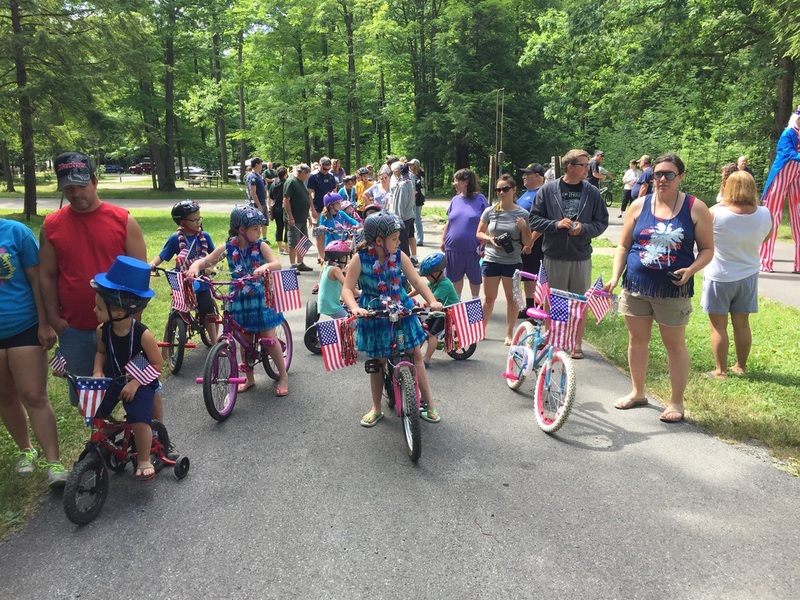 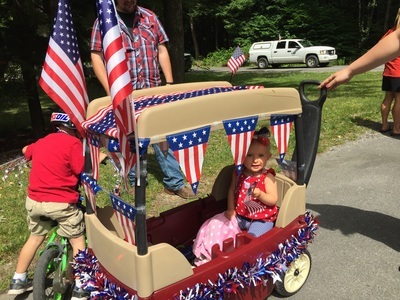 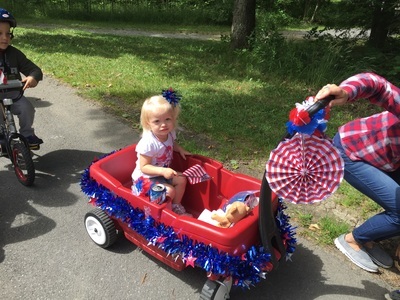 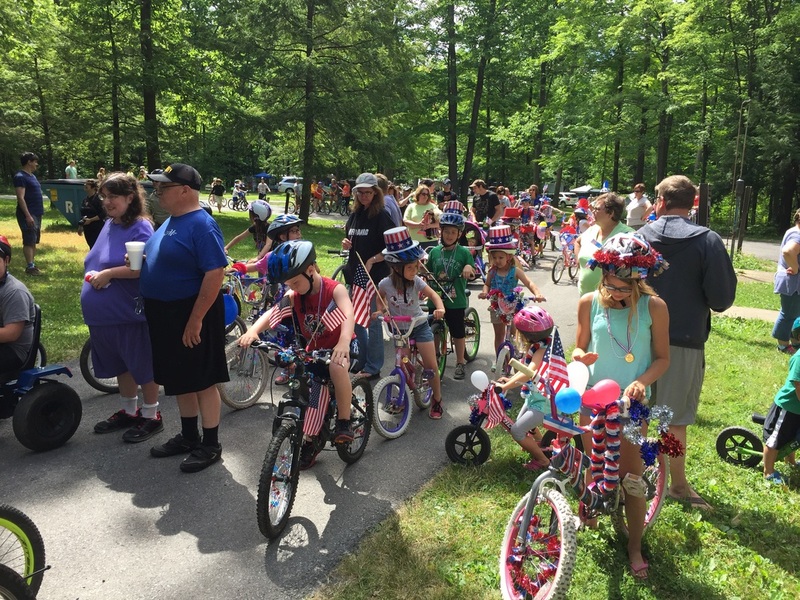 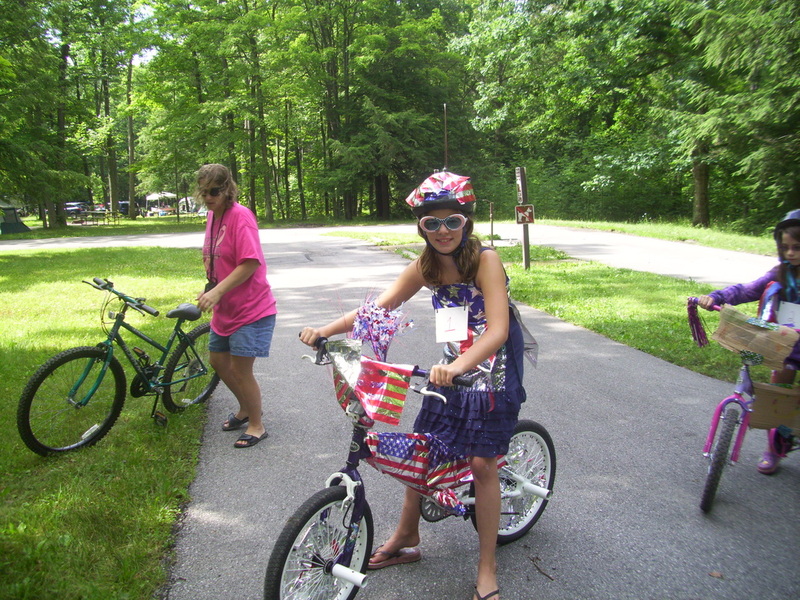 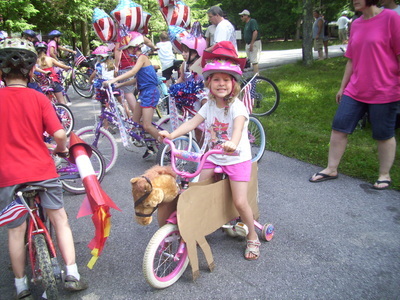 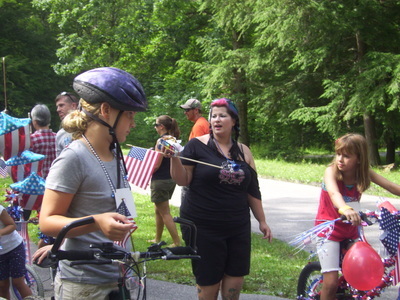 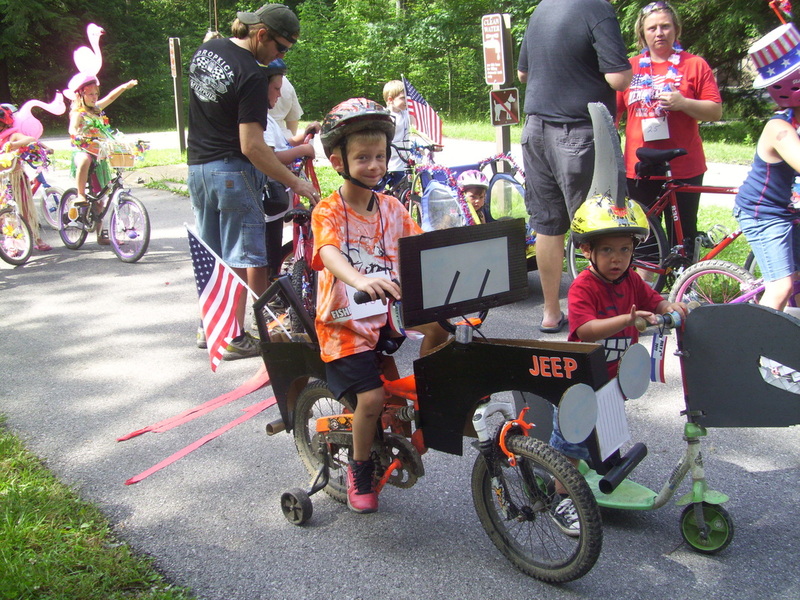 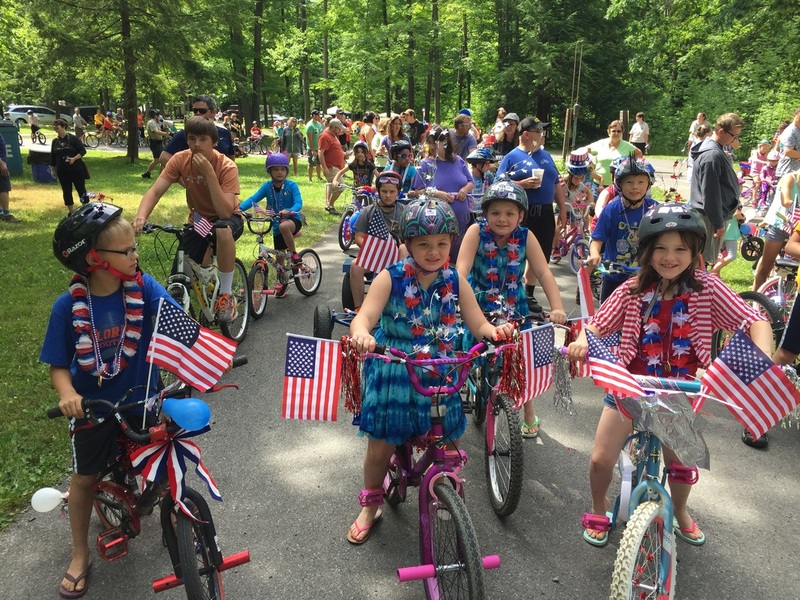 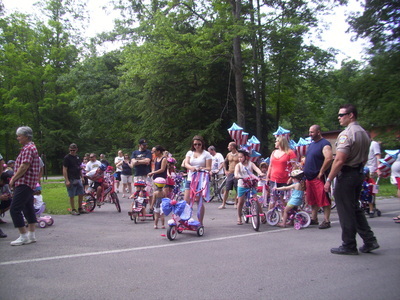 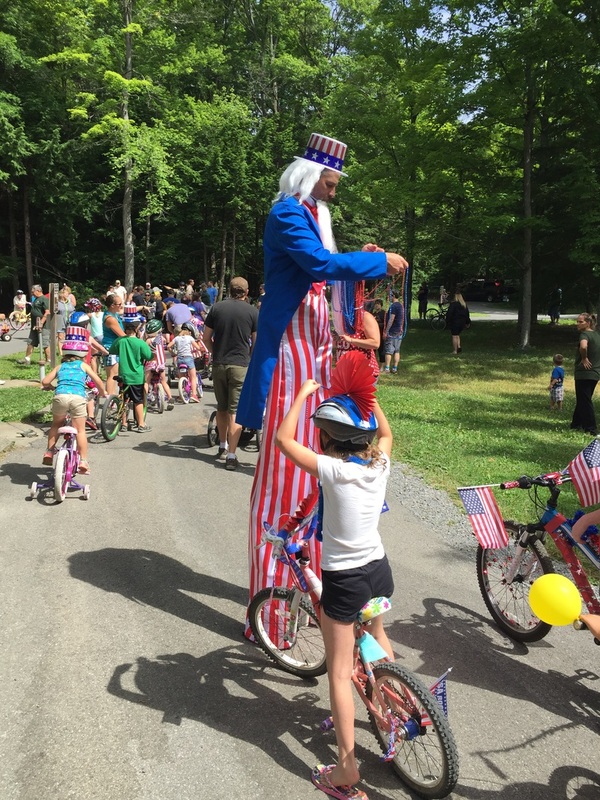 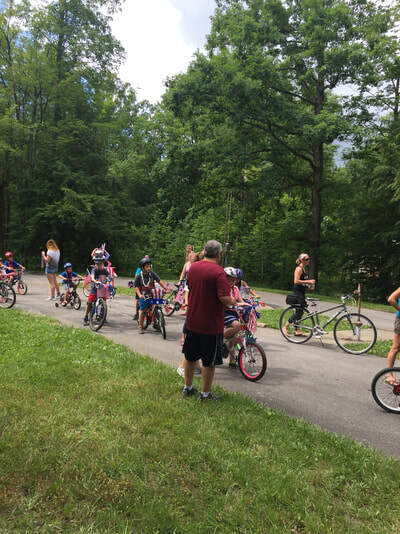 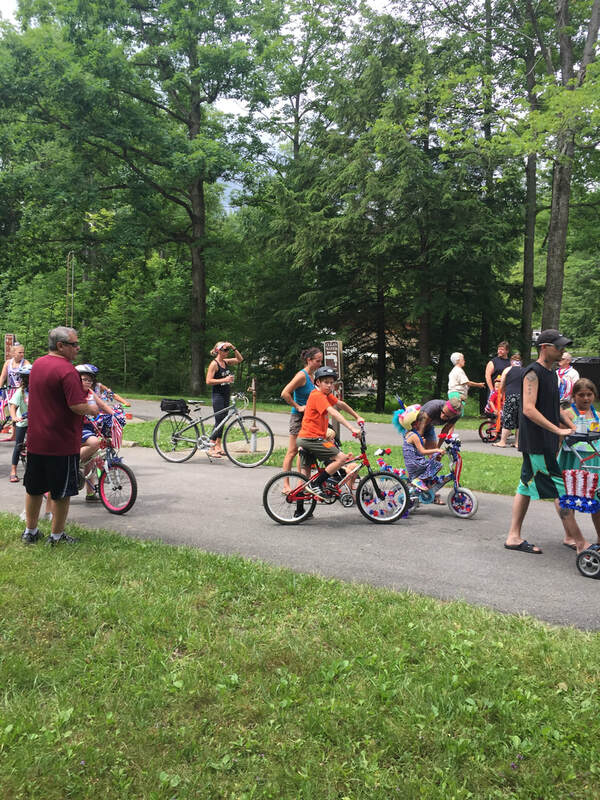 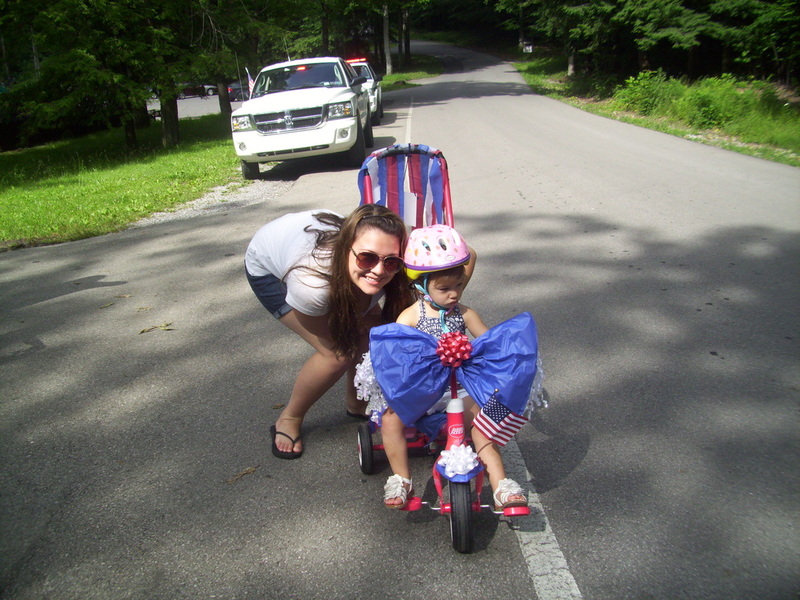 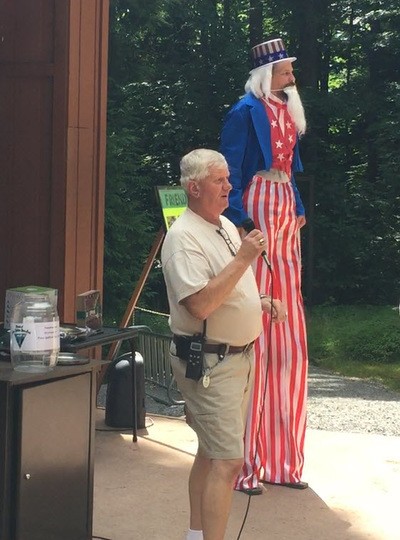 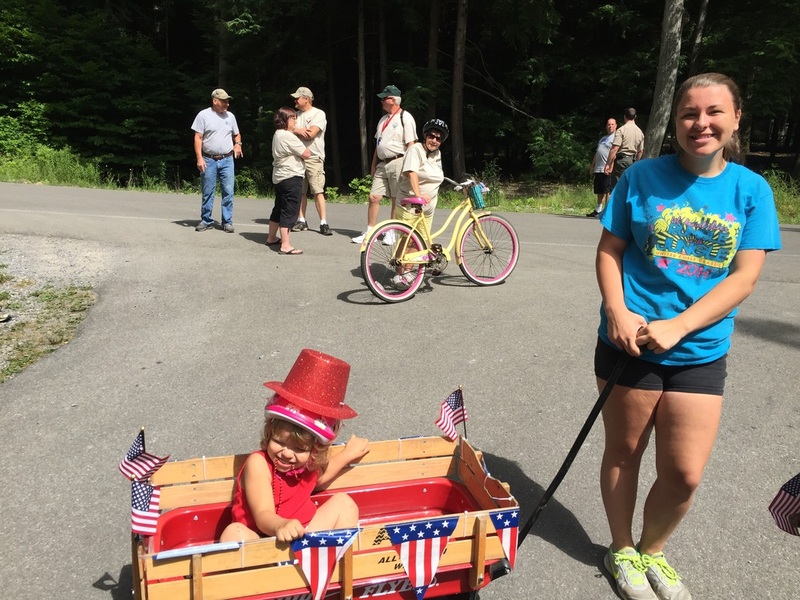 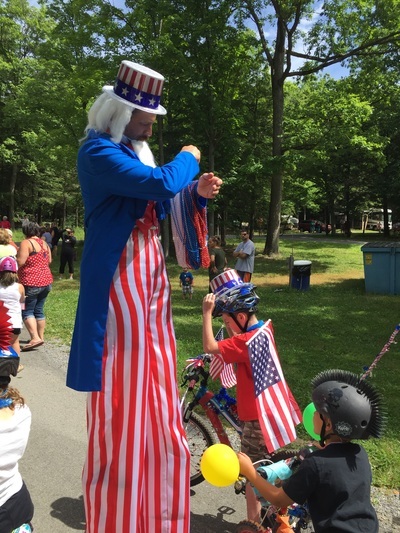 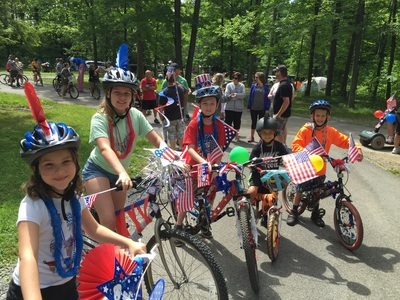 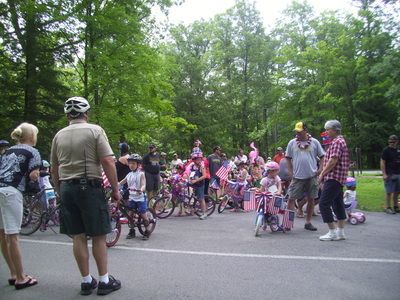 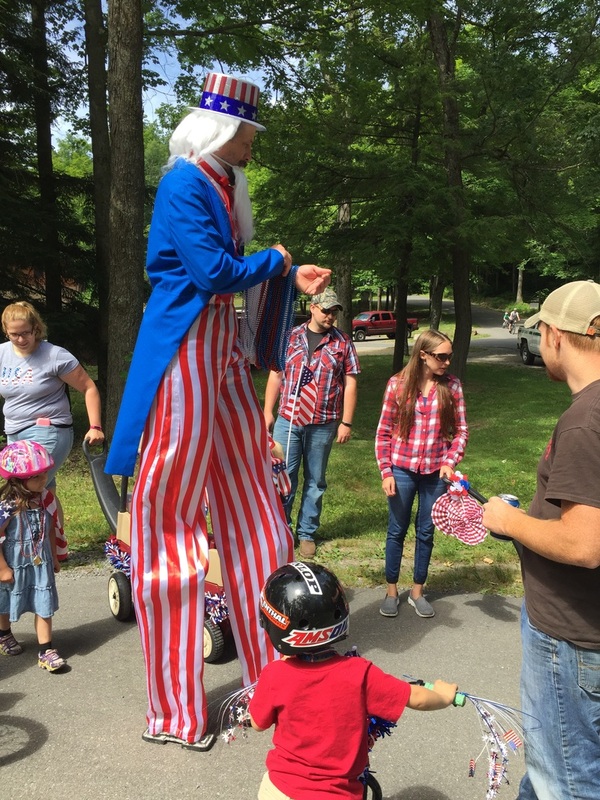 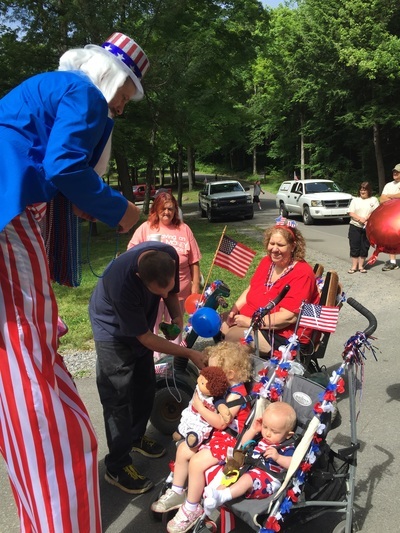 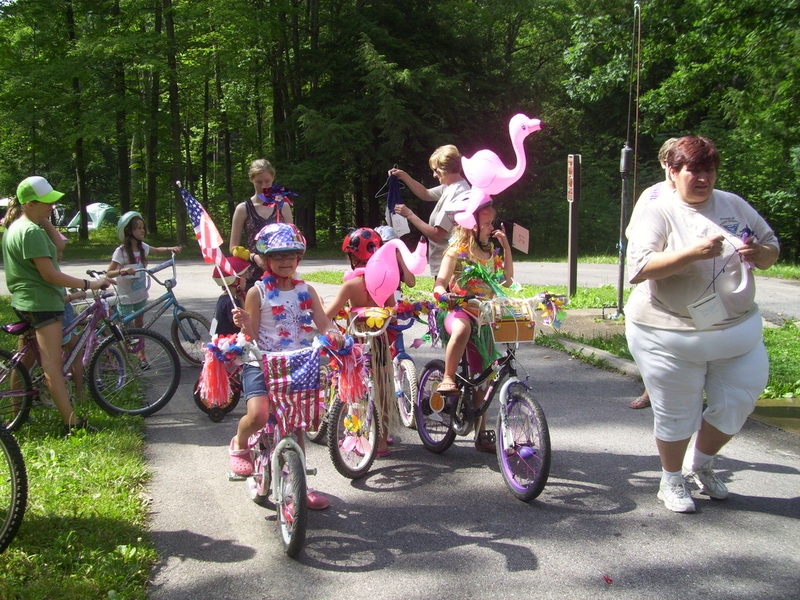 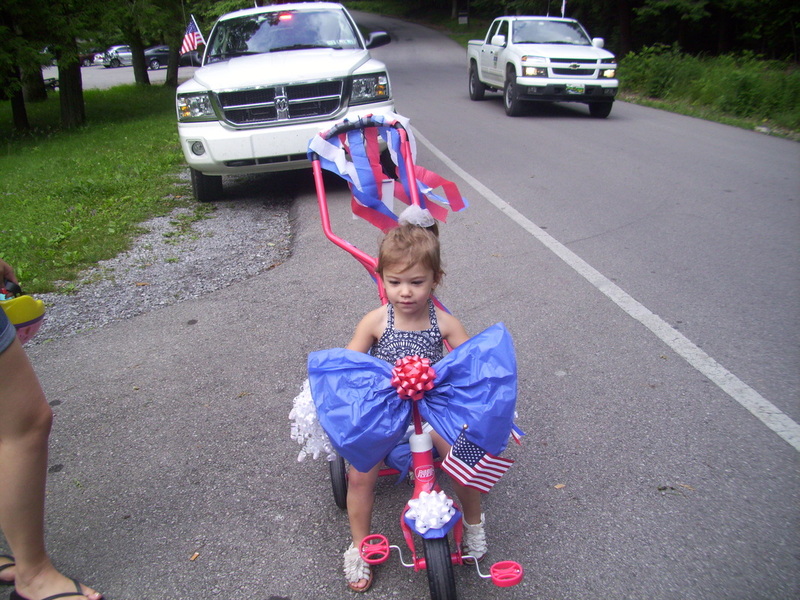 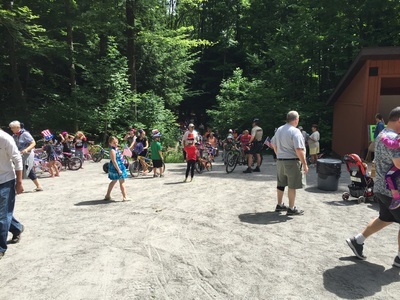 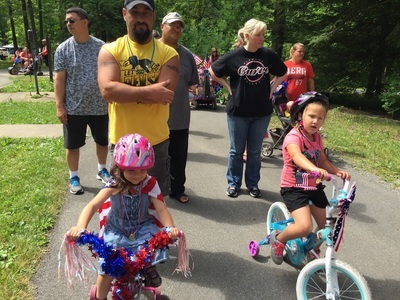 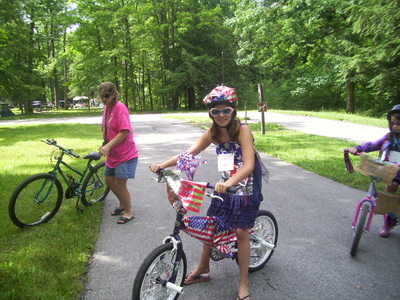 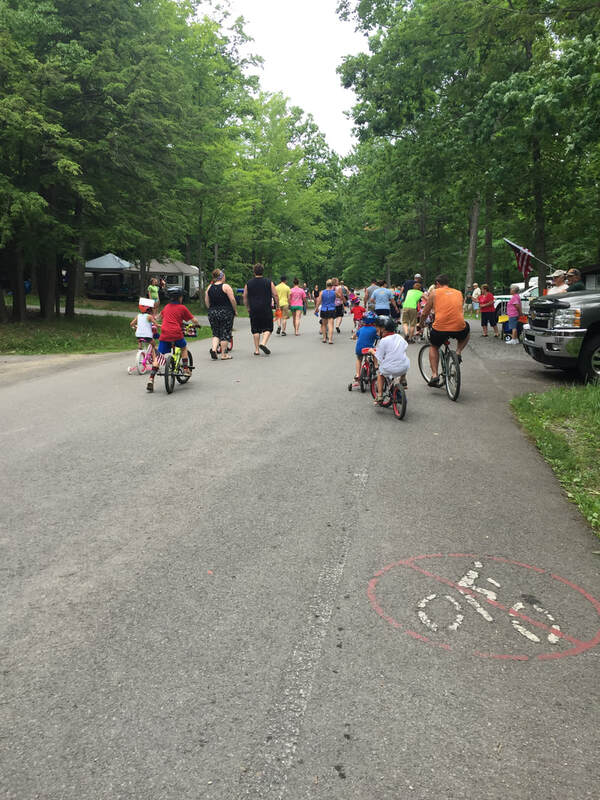 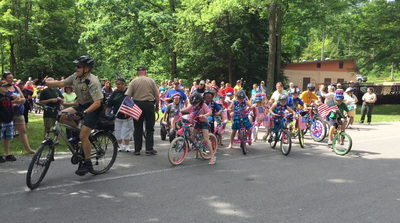 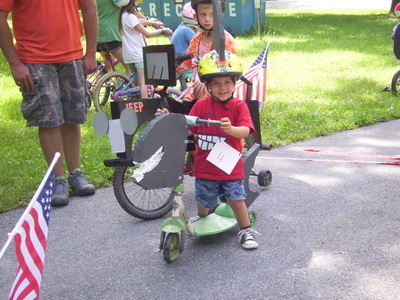 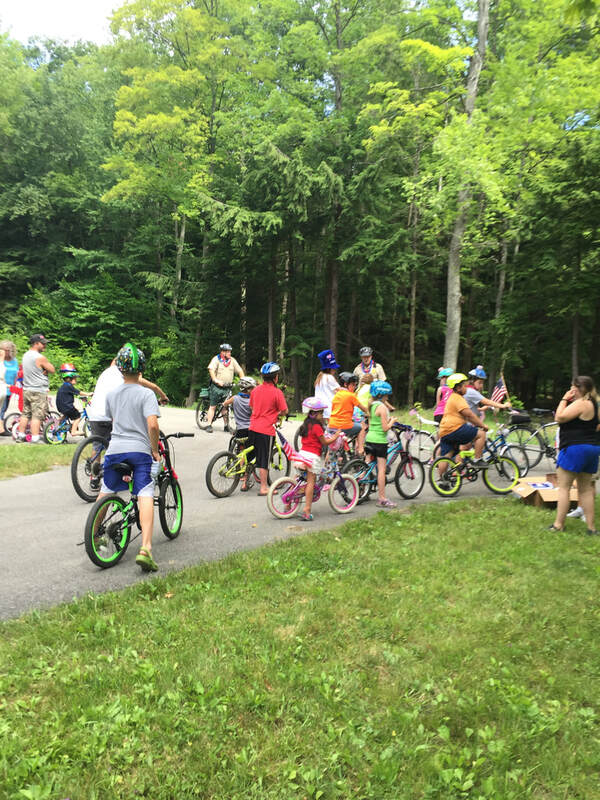 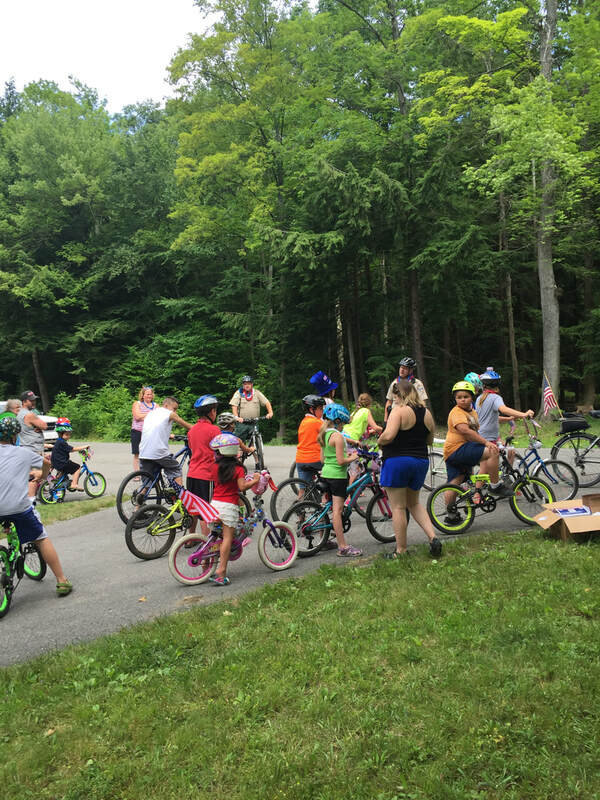 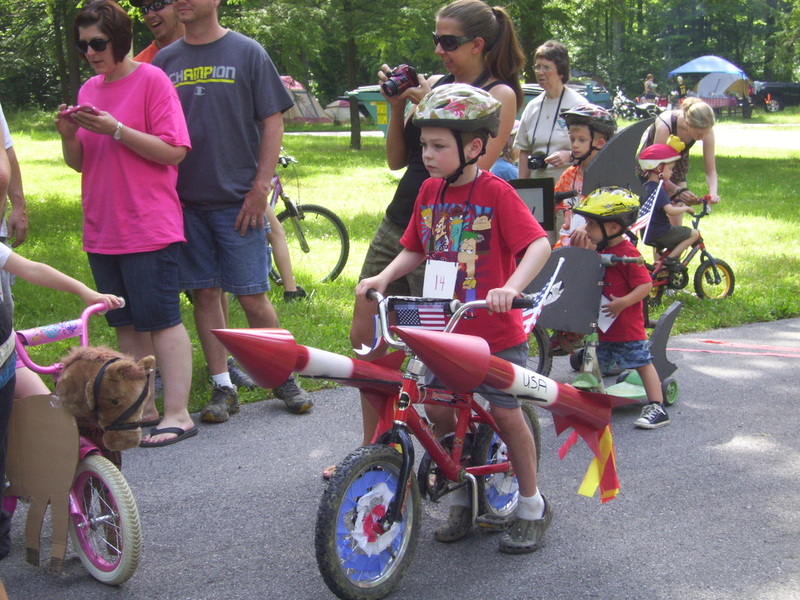 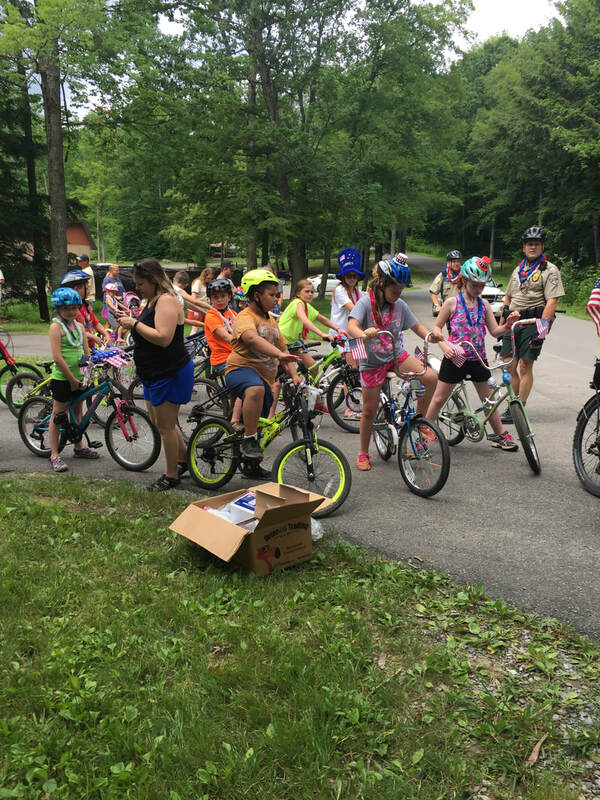 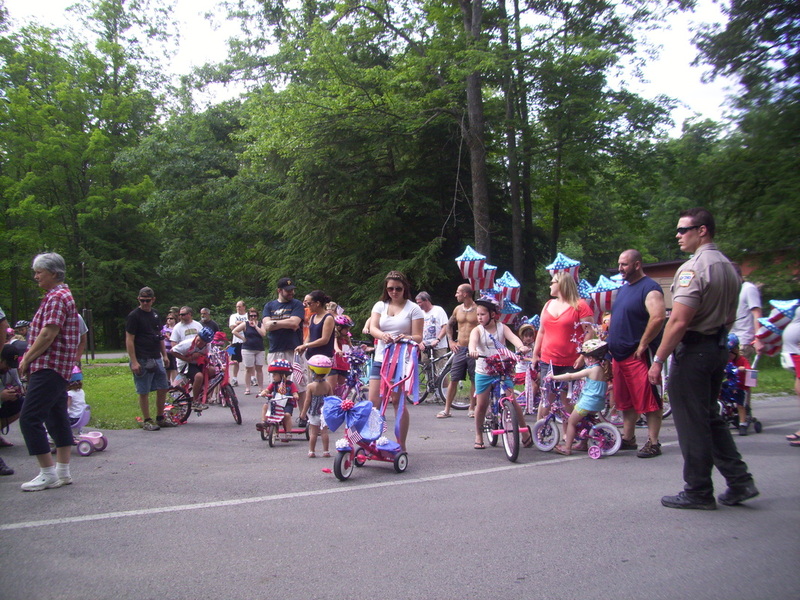 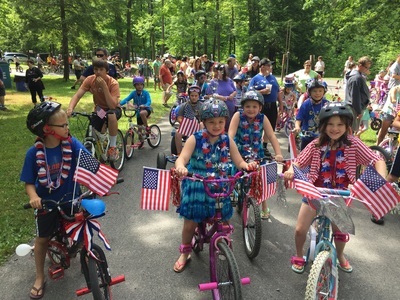 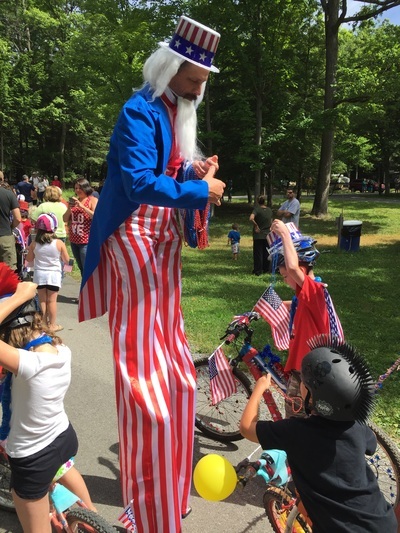 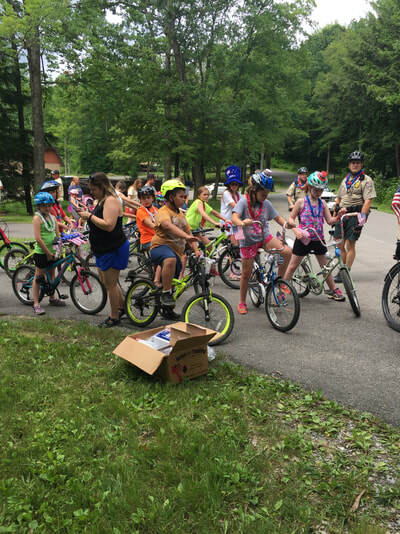 Uncle Sam (played by Mike Beals) entertained the children during the Children's Decorated Bicycle Parade on Saturday. 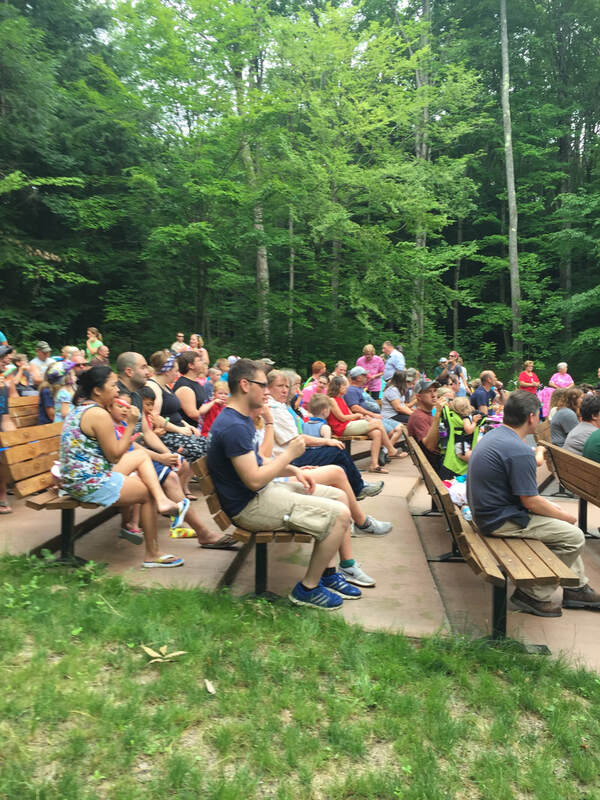 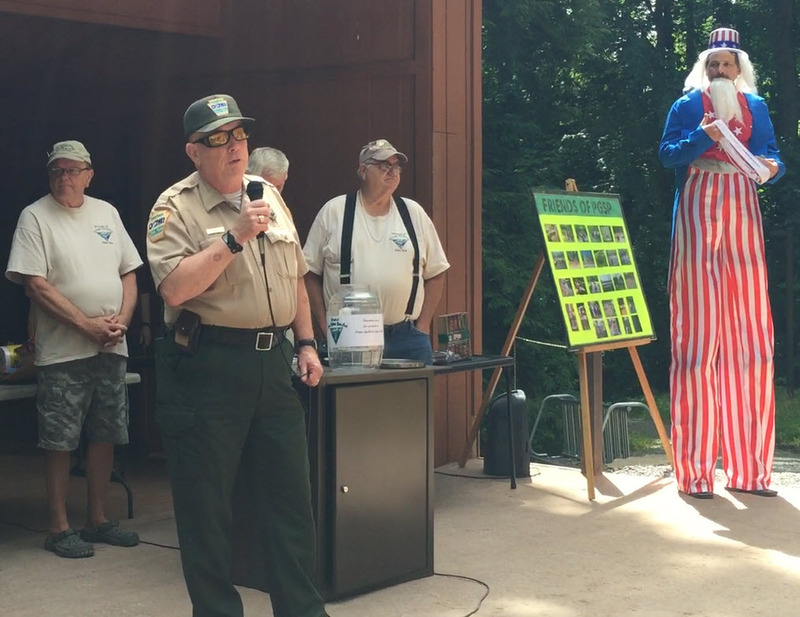 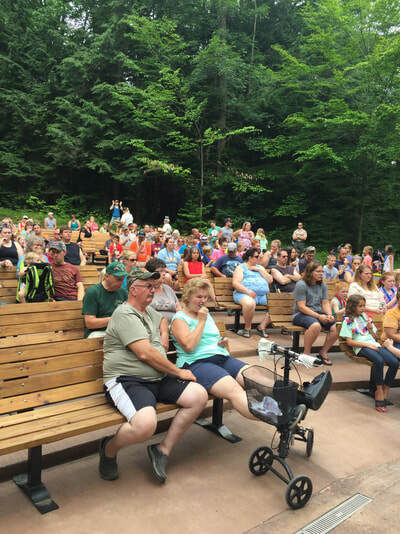 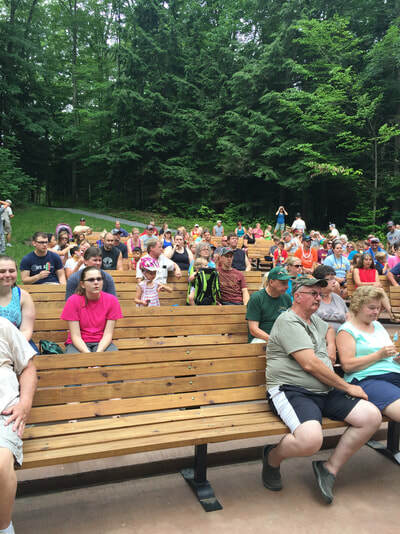 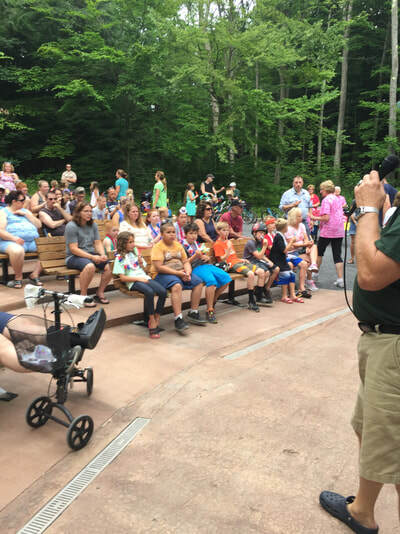 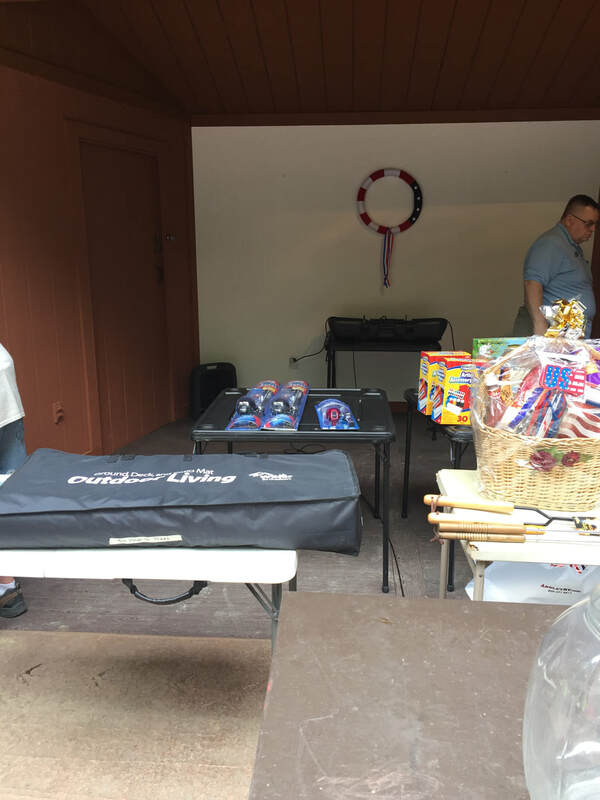 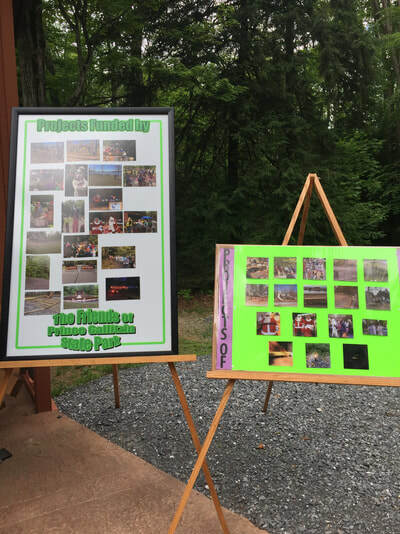 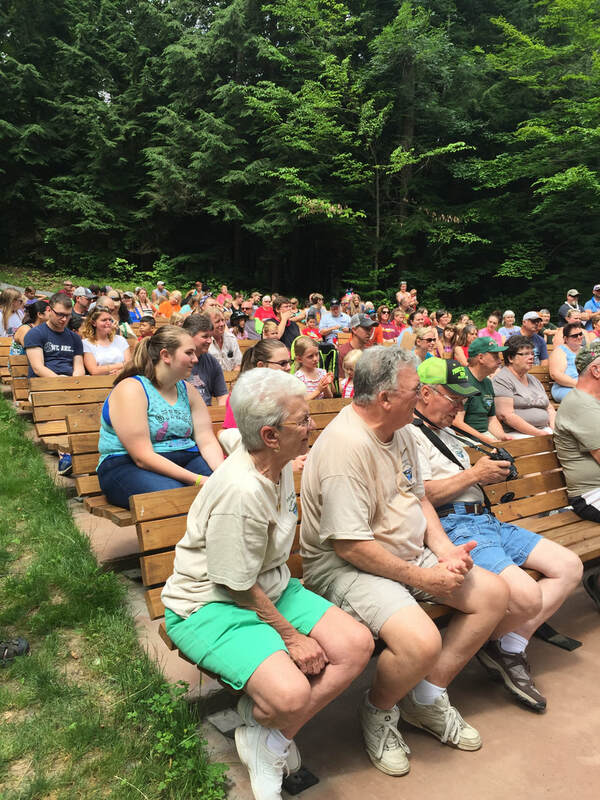 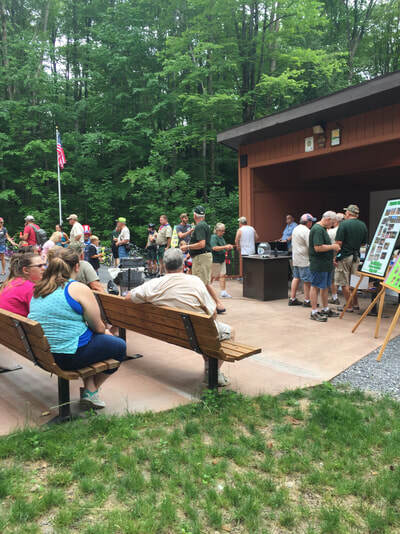 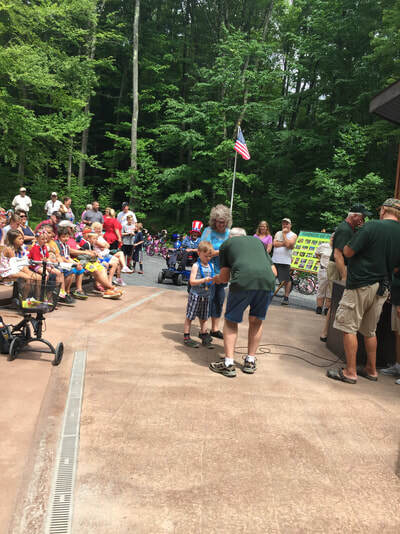 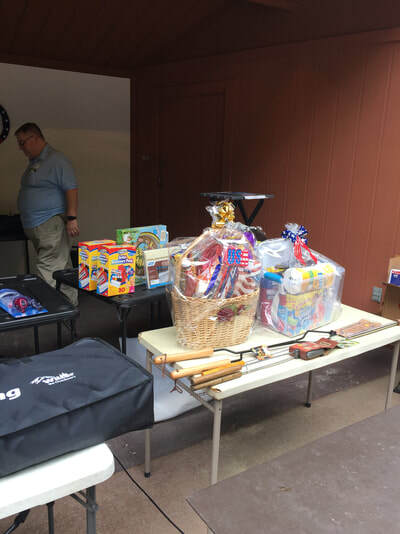 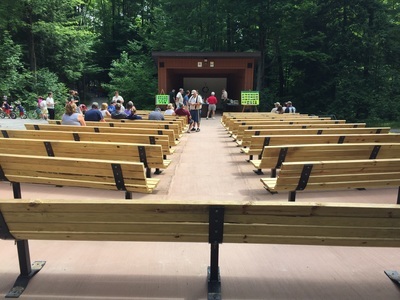 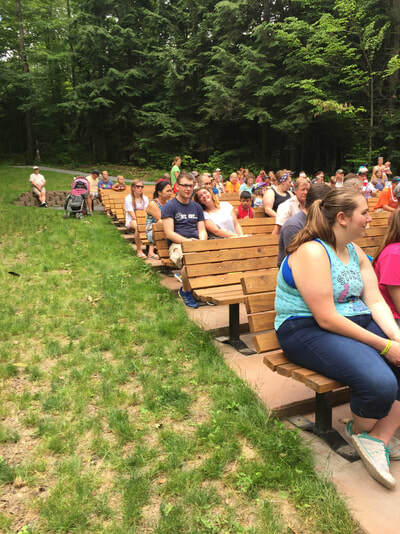 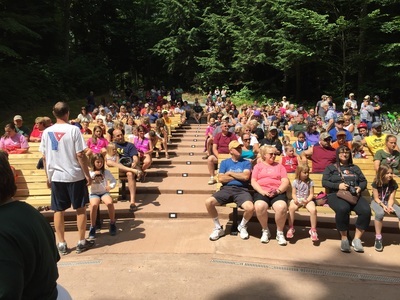 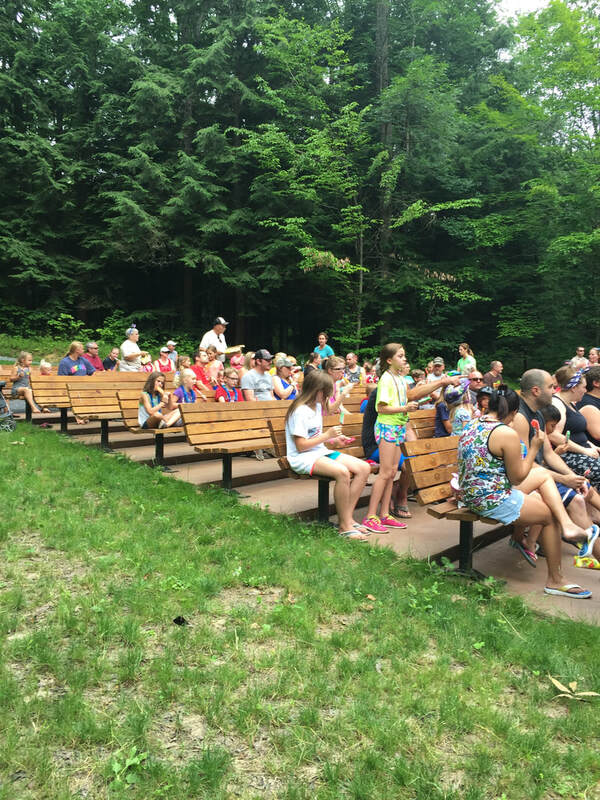 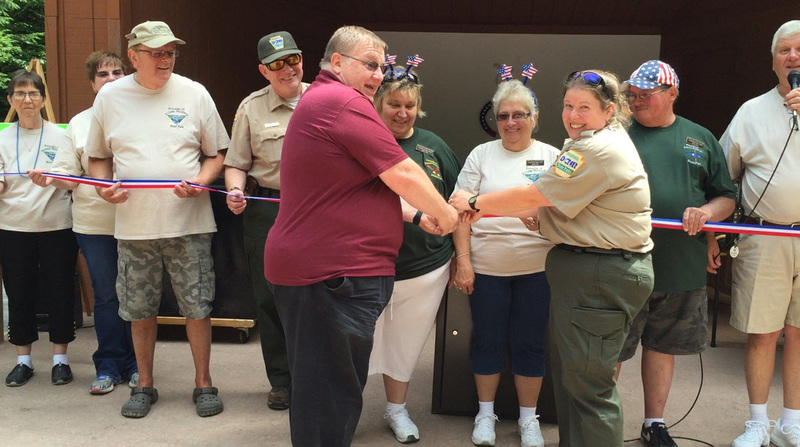 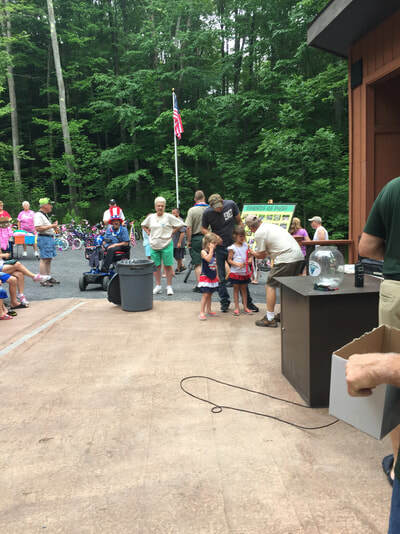 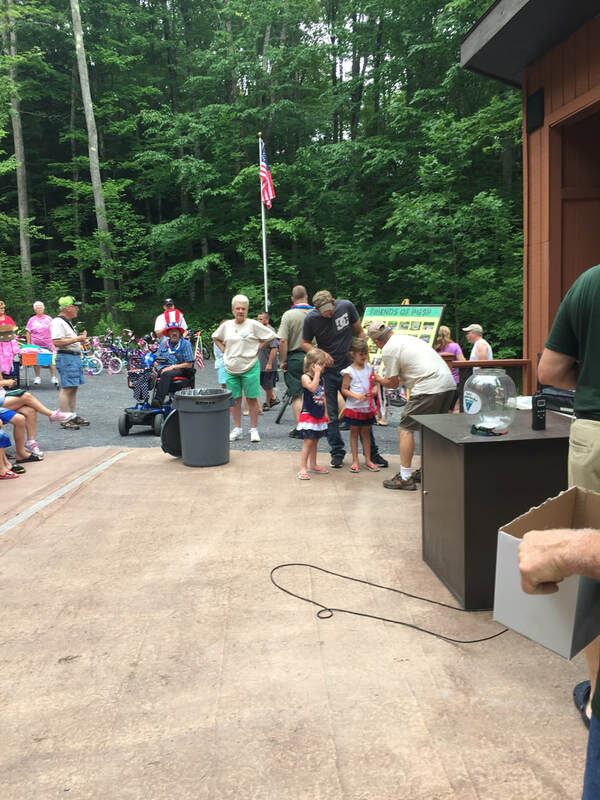 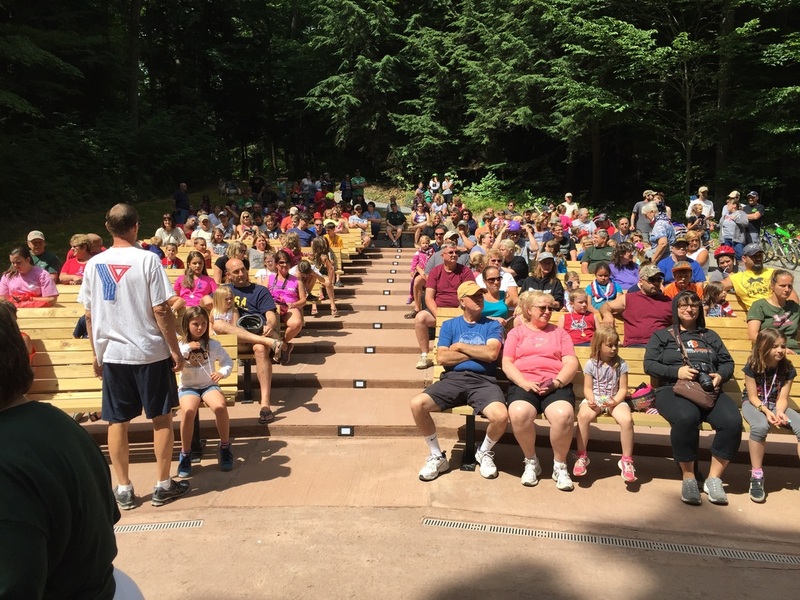 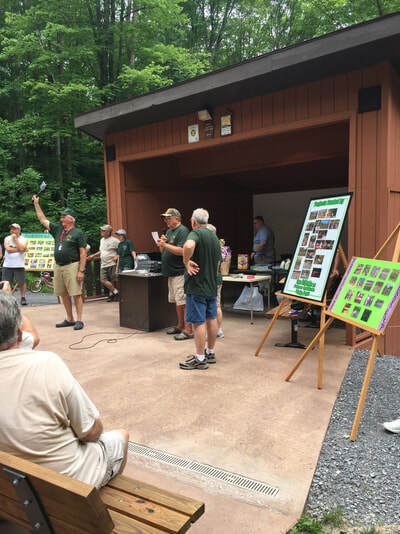 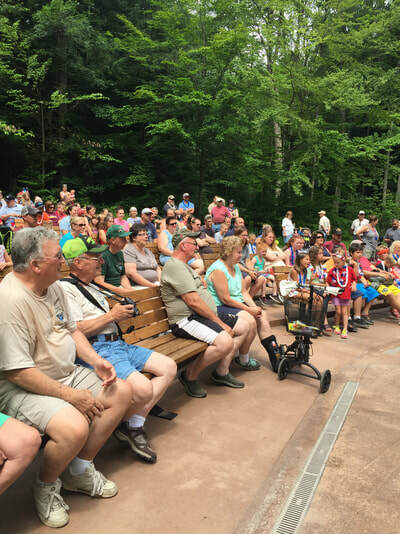 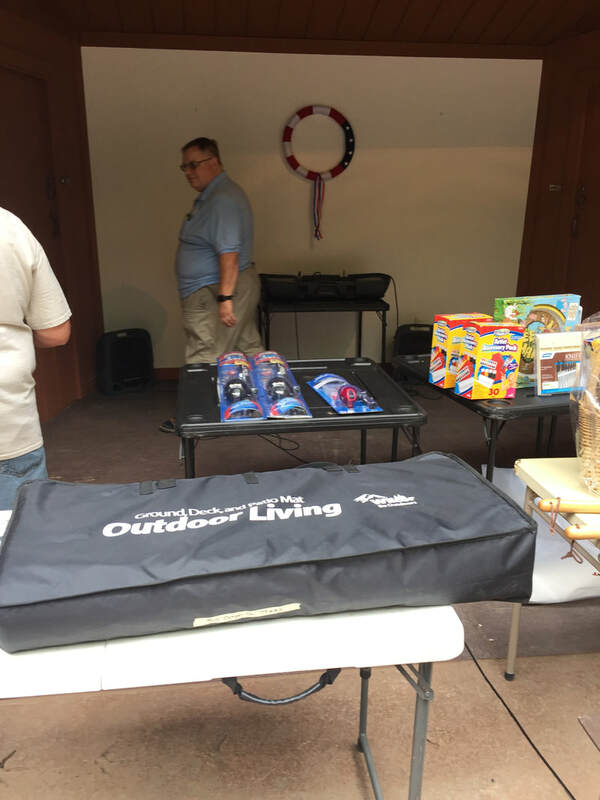 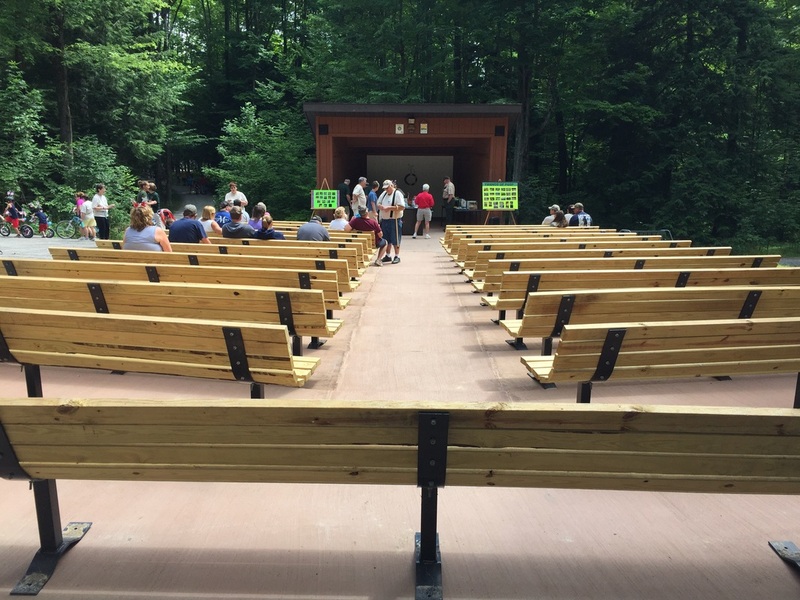 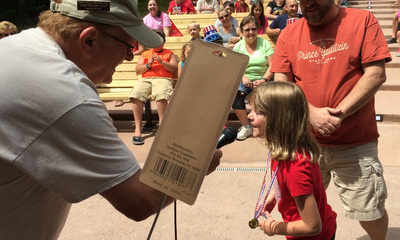 Following the parade, a dedication was held for the newly upgraded Amphitheater. 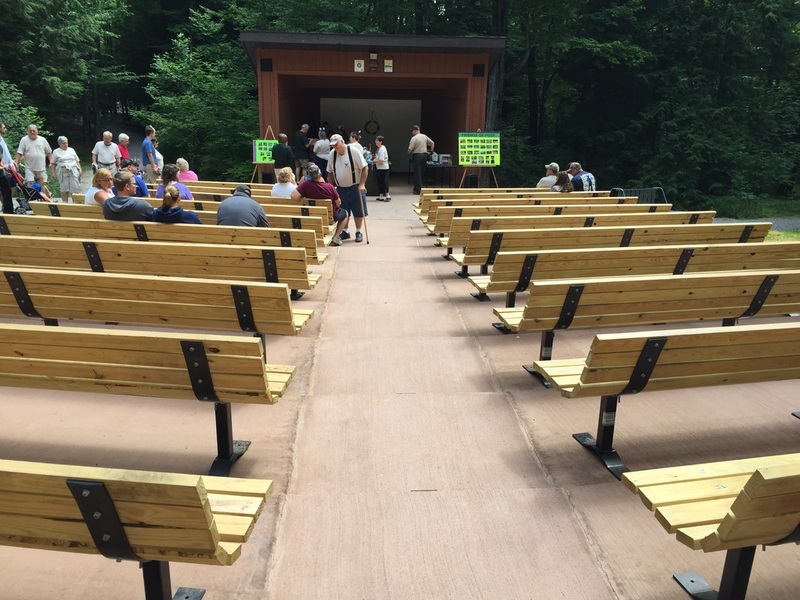 Over the winter, old benches were removed, sub-surface drainage and footing installed, concrete poured, step lighting added, and new benches built.